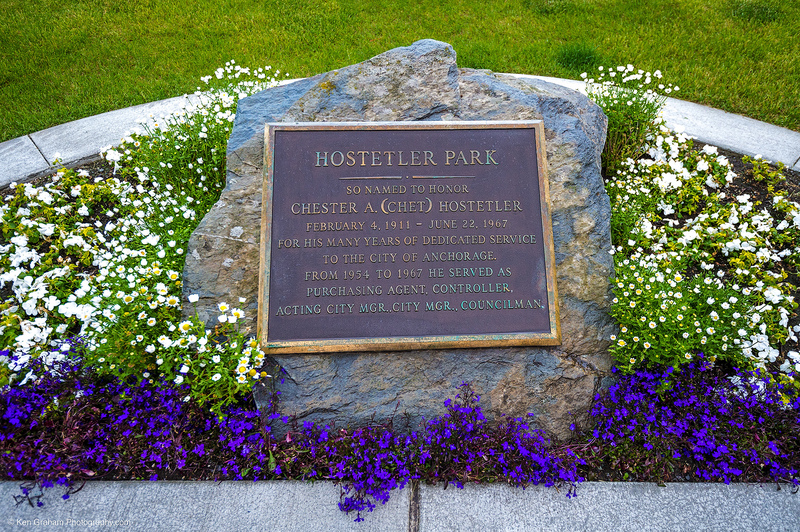 Hostetler Park is located where Third Avenue becomes L Street. 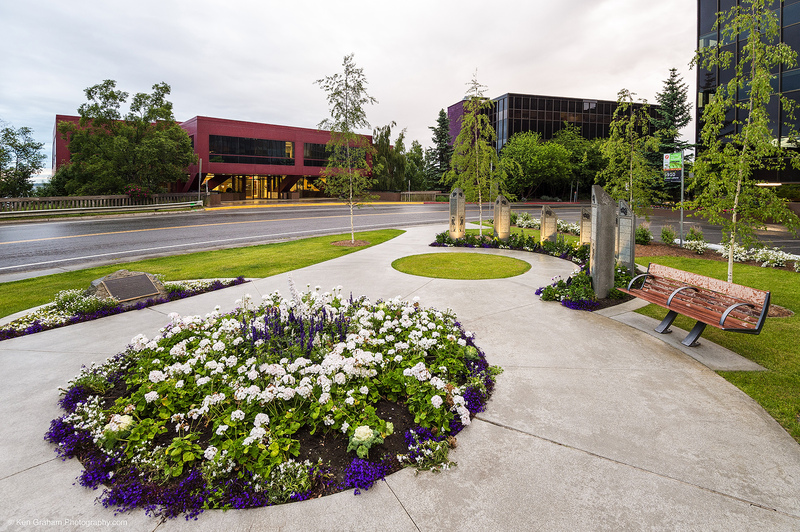 Since 1994, the eastern portion of the park has been occupied by the Alaska Victims Memorial. 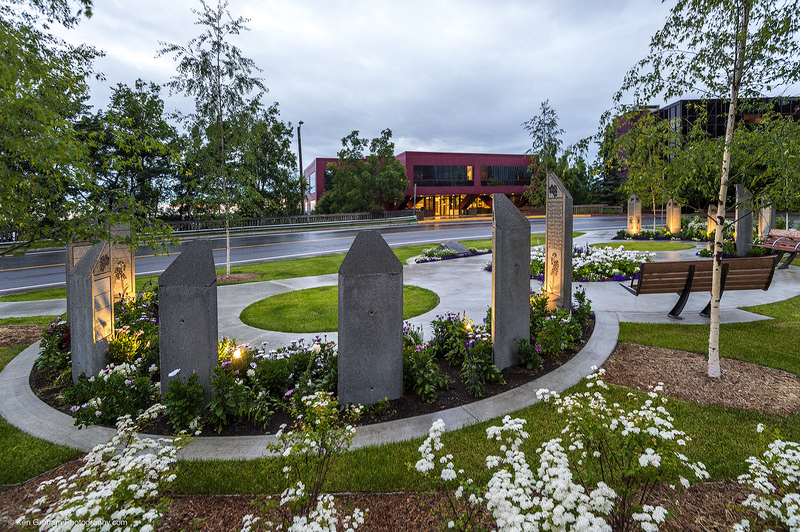 It includes the names of more than 350 Alaskans who died because of a violent crime, whether it was through homicide or a drunk driving crash. 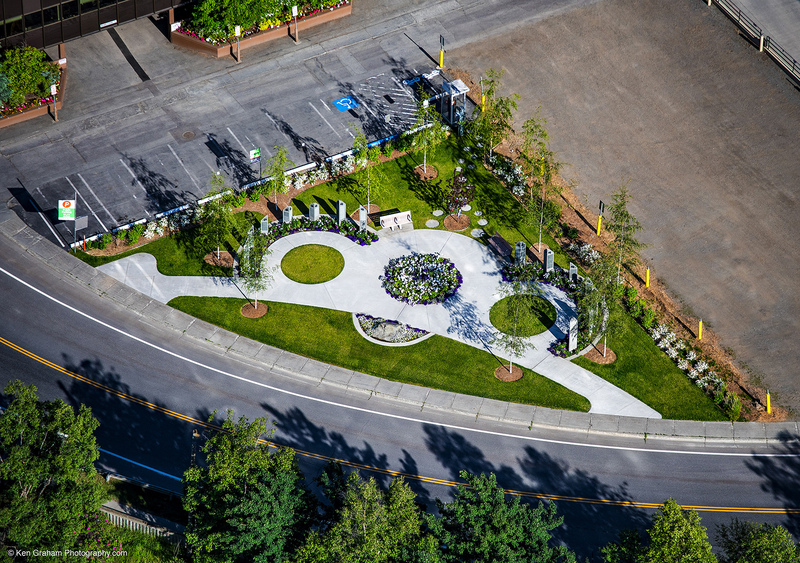 The Rotary Club of Anchorage is leading an effort to rebuild the park and the memorial and has planned the park’s renovation alongside the Alaska Police and Fire Chaplains and Victims for Justice. 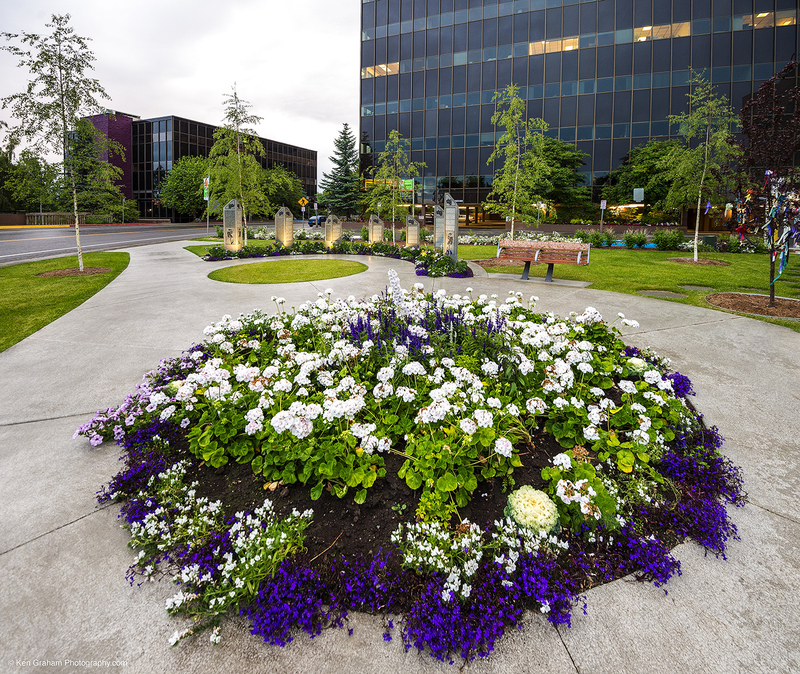 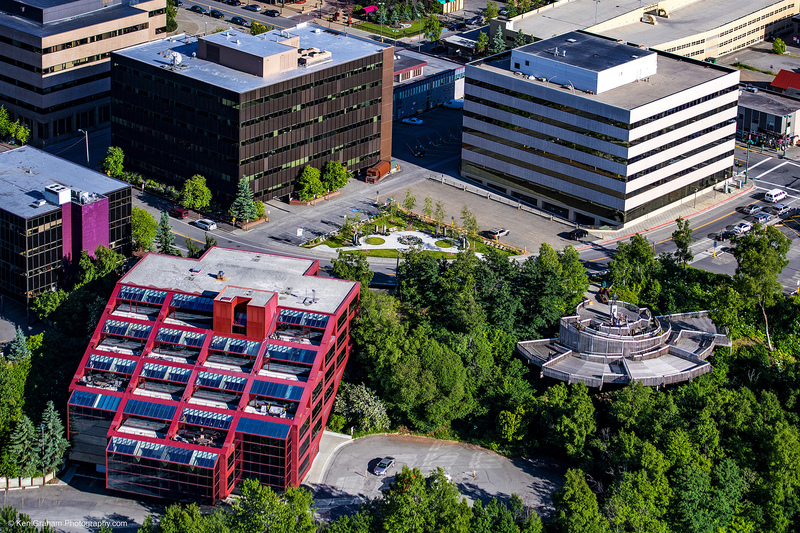 Corvus Design’s principal landscape architect, Peter Briggs, helped design the project pro-bono. 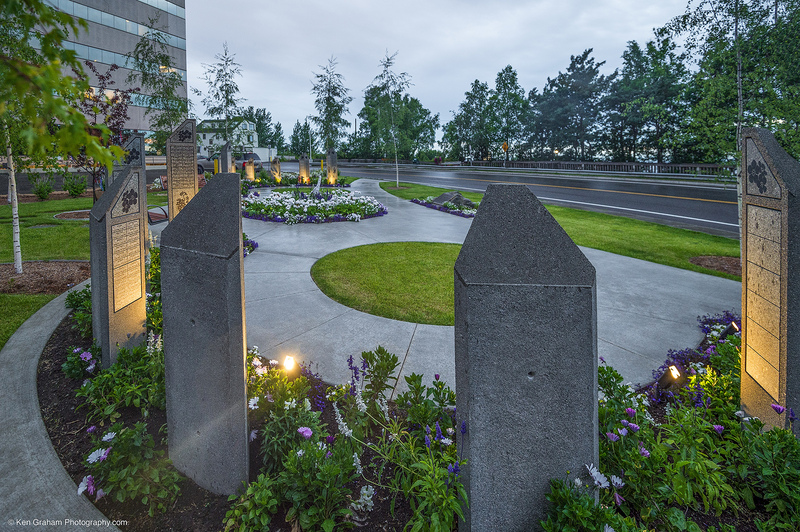 The new design replaces the current wall memorial with columns and brings improved lighting and more open landscaping to the park. 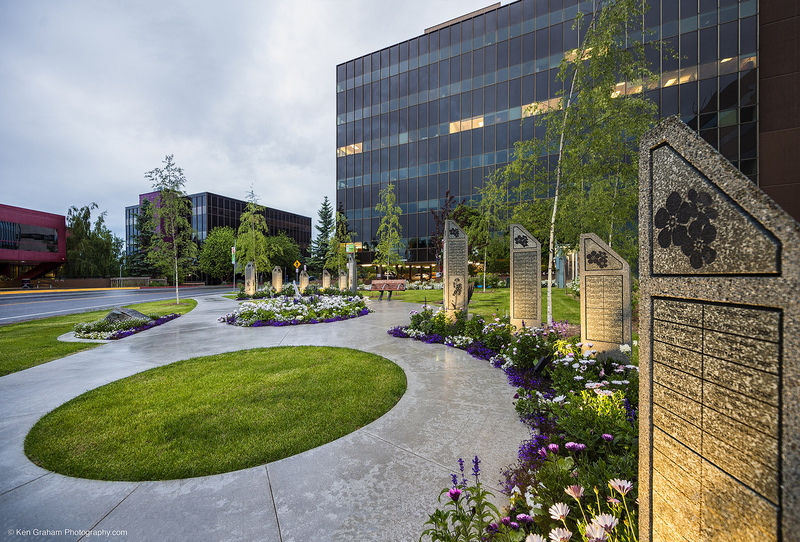 The new version of the park will also be more accessible in the wintertime, as the current memorial is difficult to reach from both the sidewalk and the parking lot. 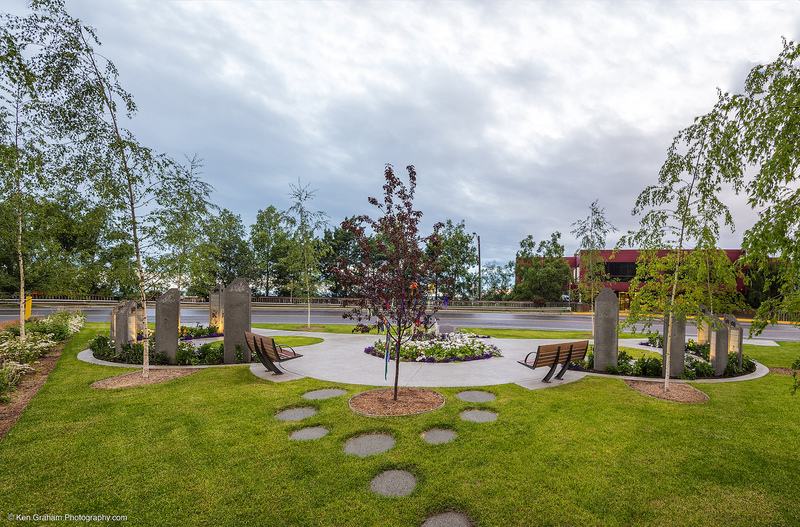 The project will be largely paid for through private donations via a fundraising effort from the Rotary Club, and the renovation’s organizers are also requesting a grant from the Anchorage Park Foundation.